I’m David Adamson, a second generation jeweler whose father, Jimmy Adamson was a master watchmaker and jeweler. He worked at a time when we didn’t have high tech gadgetry and if you needed a custom item you just had to make it by hand. I started at a very young age accompanying my father to work (getting into mischief and into all his way cool tools) where I developed a love for watches and jewelry. My father was a very intelligent, kind and patient man (he had to be with me) and he took the time to teach and explain every aspect of how things worked and why. As I became a teenager I started to help my father (at left) at our family store “Jim’s Jewelry” in Pomona California. 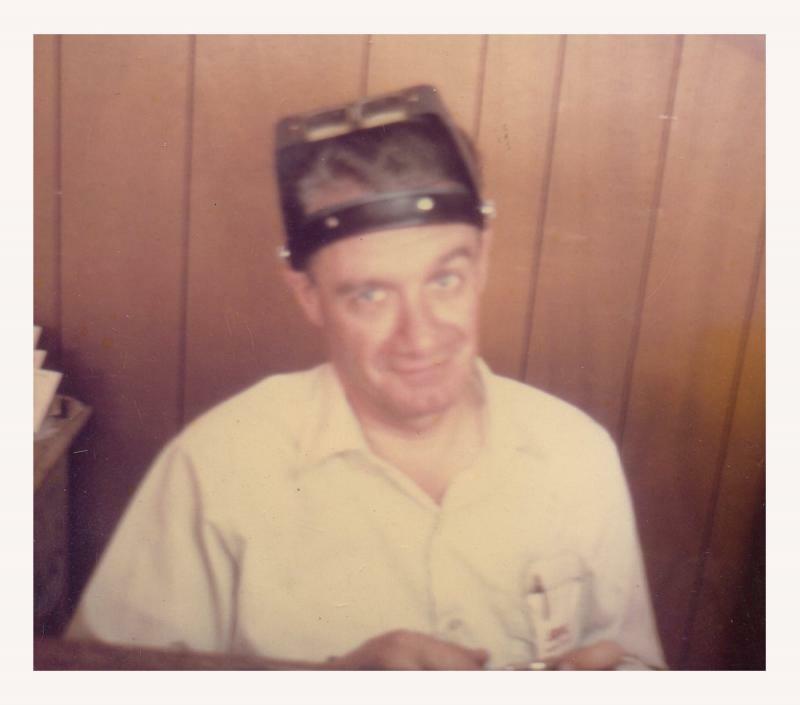 Thanks to my father's training I became very proficient at a very young age and my father encouraged me to take up an apprenticeship with a very good friend of his Jay Harold a great old time jeweler that made me do all the hard stuff by hand. At the time I really hated doing all this manual labor but Jay would tell me that some day I would thank him for teaching me to make jewelry by hand. Five and a half years later and with the expertise learned from my father and Mr. Harold, I went out on my own as a master jeweler; and yes I do thank Jay, for now I could make anything. After two robberies at my store in the Upland California area, I thought it best to move my family to a more peaceful place. We found Lynn Haven much by accident and fell in love with the people and the area and the rest is history. Twenty five years later here I am still doing what I do best and where I love to be. We live in an uncertain world and I realize the importance of peace of mind. ALL REPAIR AND DESIGN WORK IS PERFORMED ON PREMISE. We therefore offer many repair services while you wait and watch. You never have to leave your diamond or precious gemstone. If a repair requires more time, I will gladly remove your gem while you watch so it can remain in your possession while we perform repairs or service on your jewelry. Then when your jewelry is ready you can watch me reset your gem before your eyes. It NEVER leaves your sight, that is peace of mind! Winner of the 2016 "Battle of The Bench Jewelers" competition, David Adamson took 1st Place in the Jewelry Hand Fabrication category from among jewelers from all over the United States and the World. I specialize in old world, hand made jewelry techniques and fabrication that permits me to create one of a kind classic designs. Winner of the 2016 "Battle of The Bench Jewelers" competition, David Adamson took 1st Place in the Jewelry CAD Design category from among jewelers from all over the United States and the World. Our RhinoGold CAD CAM computer aided design system permits me to design and create fine jewelry containing exquisite detail. It also allows you to see a full 3D photograph of the design prior to creation, thus permitting any changes to be performed directly in the design stage. So you always get exactly what you desire, NEVER a surprise. Our cutting edge 3D printer permits us to take a jewelry design and have a sample print grown in a matter of hours. This ability makes it possible to see and try on an actual size print of your new design before ever proceeding to the casting stage. At this point any changes to the design are easily performed thus ensuring that what you dream is precisely what you will get. With our Rofin Laser Welding System we can work on or repair even the most delicate Jewelry without fear of damaging even the most delicate Gems or detail. This system allows us to turnout our work at an even faster pace (no waiting) and at an even higher quality standard. As always, all work is performed on the premise. Using the latest microscopic PUK welding system I can repair the most delicate jewelry. This system permits me to work on or near gemstones that traditionally would be damaged by the high heat of a torch flame. With our Roland, Gravograph and BB50 computerized engraving systems, I can offer complete engraving service on your fine jewelry items. These systems permits me to print images of loved ones, thumb prints, pets or anything you may desire, directly onto jewelry. Gemstone and diamond certification and evaluation to the highest GIA standards is provided while you wait and before your eyes. I have many years of experience in the restoration and repair of antique jewelry. Using time tested techniques used by the original masters and combining that knowledge with modern day equipment I can maintain and upkeep your precious antique jewelry to the highest possible standards.